In order to ensure that your child achieves the best possible grade, Year 11 Interventions during the Easter Break will be running within particular Curricular Areas. In order to ensure that your child achieves the best possible grade, Year 11 Interventions during the Easter Break will be running within particular Curricular Areas. 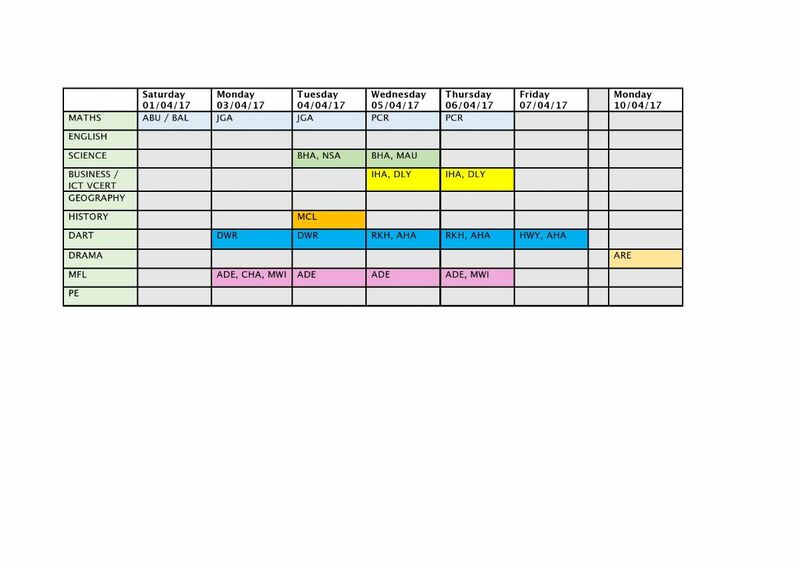 You will find below the timetable indicating which subjects are running interventions and on what days. Please check the Interventions list here to see if and when your child is required to attend. This is compulsory, however if he or she cannot attend, please inform Miss Jassal as soon as possible. Please ensure that you provide food and drink for the day as students will not be permitted to leave the school premises. If you have questions or queries, do not hesitate to contact Miss S Jassal.